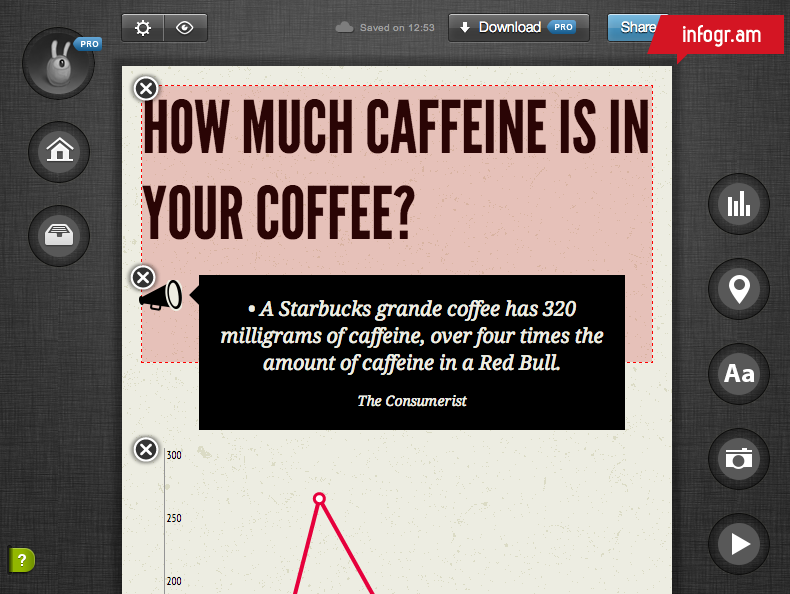 Infogr.am is the world’s simplest application for making infographics. Create interactive infographics and charts with a few clicks, place them in your article, blog post or share with friends. With some 500 000 infographics created and 10 000 new sign-ups a week it’s the fastest growing data visualization community in the world. Interactive infographics is becoming a major trend in data visualization. News portals, blogs and researchers use infographics on daily basis. Infographics simplify complex stories. Infogr.am provides the easiest experience for publishing a chart online. It takes just 2 minutes to upload data, customize the look and share or embed an interactive, beautifully designed chart. With a built-in spreadsheet engine and 30+ data visualization formats it’s an ultimate tool for journalists and bloggers. Infogr.am was started by Uldis Leiterts and Raimonds Kaze on early 2012. Both co-founders has background in journalism and prior of founding infogr.am have worked together in online media. Start-up has seen an explosive growth since the launch of first demo version in February, it enjoys recognition from the users as well as industry. Company is named “the best new startup 2012” by Arctic15, largest Northern European tech conference. Standards: Making Content Meaningful. 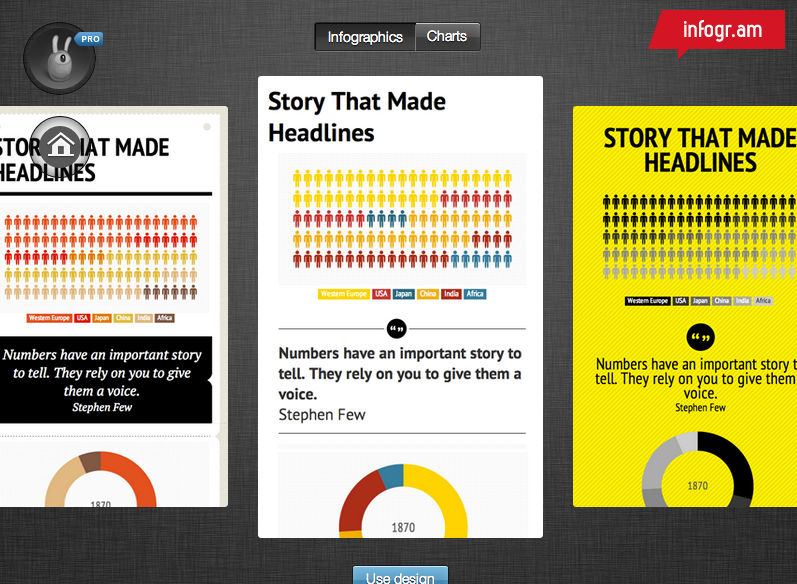 Tools: Infographics, Posters. Disciplines: All. Grades: 3-5, 6-8, High School, Higher Ed.. Verbs: Apply, Create, Describe, Exhibit, Explain, Illustrate, Summarize. Infogr.am is the most intuitive infogrphic site I’ve seen, it is easy to select a template and then customize it with data, charts, graphs, maps, etc. 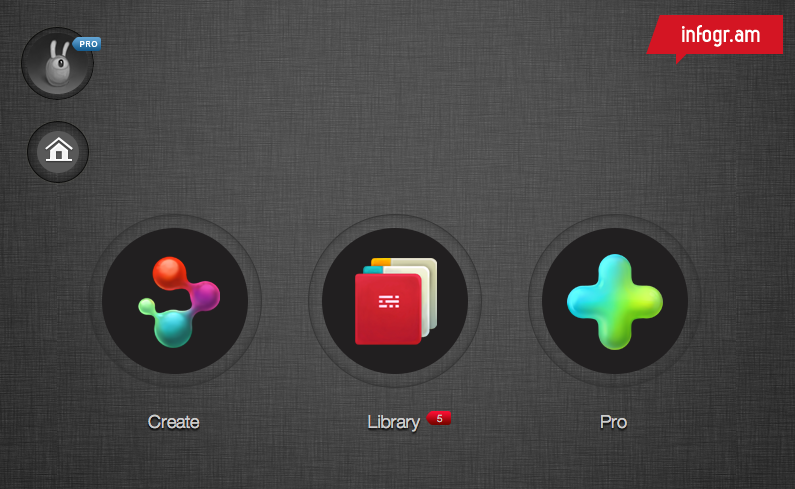 Beyond June 2013, I’m not certain if the same features will be free (that’s when the Pro version rolls out) but it is phenomenal right now. Exports as a PNG or JPG when done. The ease of use is the best thing about it. Infographics can be created by students as a project. Instructors can have students research a topic, write a summary, create a bibliography, and then put together a graphic based upon their research. It results in an interesting, alternate presentation.